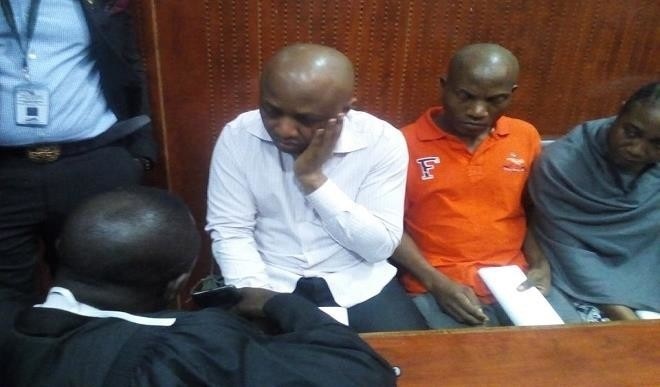 Chukwudumeme Onwuamadike, popularly known as Evans, has pleaded guilty to conspiracy and kidnapping before a judge of the Ikeja High Court. These words from billionaire kidnapper Chukwudumeme Onwuamadike, popularly known as Evans could have been heard outside the court house. On Wednesday, he pleaded guilty to kidnapping charges brought against him by the Lagos State Government. Evans, who was charged alongside five of his accomplishes, pleaded guilty to a two count charge of conspiracy and kidnapping. He appeared before Justice Oshodi of a Lagos High Court sitting in Ikeja, the state capital. The state Attorney-General, Adeniji Kassim led the team of prosecutors. Evans was represented by his counsel, Olukoya Ogungbeje. He adjourned the case till October 19.